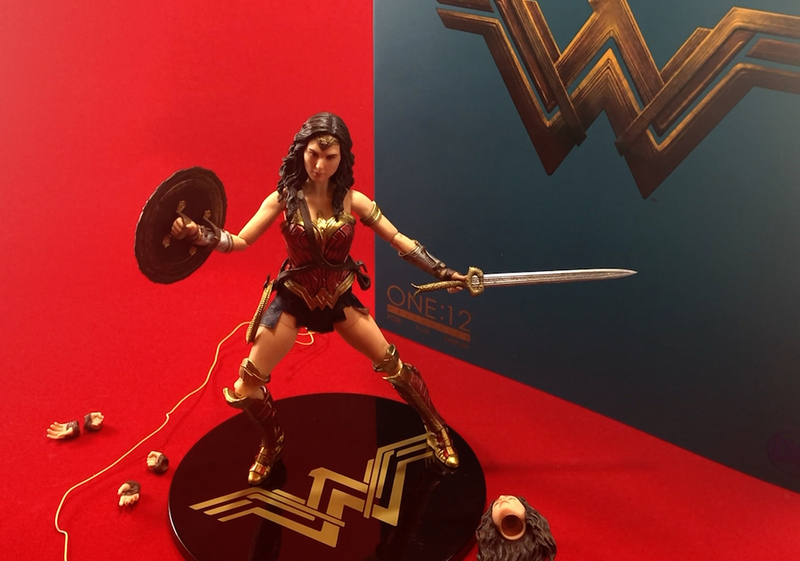 Unboxing/Review: Mezco One:12 Collective Wonder Woman – AiPT! There is a lot to like about this figure although we did find some defects that made it less than perfect. Starting with the positives we really dig the two lassos she comes with one for displaying on her belt and the other to wrap up bad guys. The sword is highly detailed too and there’s plenty of extra hands to go with the figure. The extra head is very similar to the main head, but we’re happy they included a different look. The biggest win is the armor on the figure which has great detail and an even better paint job. The hair is also quite nice. Sadly our toy came a bit damaged with the leather skirt being bent and the blue paint being chipped ever so slightly. Most likely many won’t have the same defects, but it’s worth noting (and maybe worth picking up from a vendor so you can check out the figure itself). The hands can sometimes be very tricky to swap out too. It took a few minutes to get the sword wielding hand into its socket, for instance. Overall I liked this toy quite a bit capturing the modern movie look of the character very well. It continues the high standard Mezco is committed to and should fit nicely with other DC movie Mezco action figures. A solid toy that has great detailing and a paint job that makes this look legit. We found some minor defects though. This figure had some defects in the leather skirt, a big bummer!